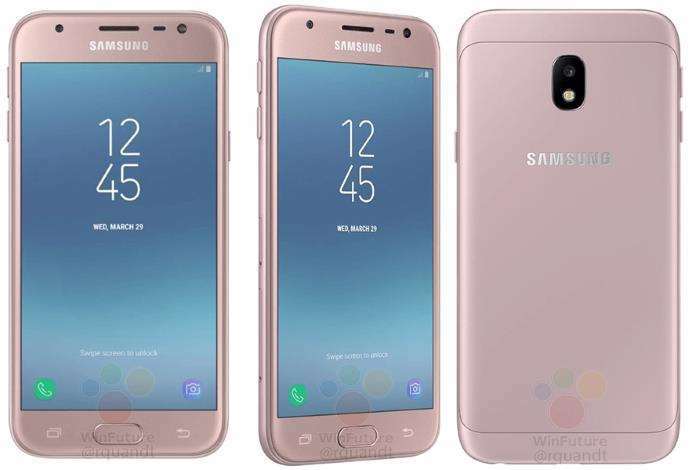 Over the past few days, we’ve seen countless number of leaks related to the Galaxy J5 and Galaxy J7 (2017), including leaked press renders and what not. Recently, the Galaxy J3 (2017) leaked in all its glory, revealing a number of official press renders giving us a glimpse of how the handset will look like. It’s worth mentioning that the handset is already launched in the United States from AT&T, but this variant with model number SM-J330 is set to launch in the European market. The Samsung Galaxy J3 (2017) features 5-inch display sporting a resolution of 1280 by 720 pixels resolution with the processing handled by Exynos 7570 SoC and 1.5GB of RAM. Other features include 16Gb of internal storage, 5MP main camera for photos and videos, 2Mp front-facing camera, a 2,600 mAh and ship with Android 7.0 Nougat as its operating system out of the box. We’ll update you as soon as the handset launches in other global markets.